and this is the one picture that i got of it that kind of works. the colors still aren’t quite right, but after as many photos as i took, i’ll take it! 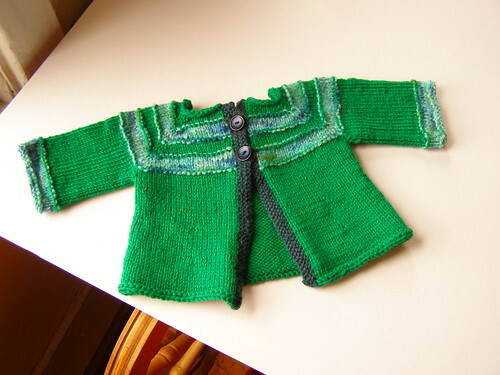 i already knit a sample sweater to double check the pattern, so expect both sweater and pattern to be coming up soon! and kits… there will be kits. p.s. huge props to jamie for the name. i played with blue belle, boy belle… but baby beau is perfect! p.p.s. 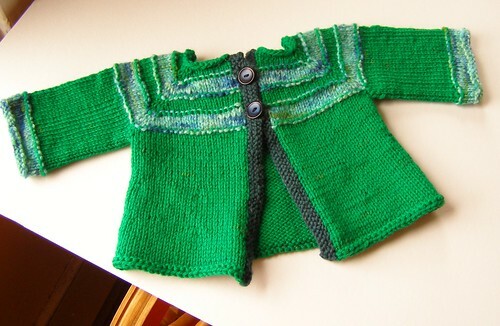 after baby eggplant, baby belle and baby beau, i don’t think i’ll be naming any more sweaters with baby in the title. geesh. love the name and the sweater is so cute for a lucky little guy. i LOVE bright colors on baby boys! yes! i love bright colors on any baby. Wow, I’m flattered! Thanks for the props, Cosy! yay! i’m so glad you’ve enjoyed it.